In the framework of the project "We are the human capital", the Port Authority presented the job and training opportunities offered by the Port of Venice to 400 Venetian students. 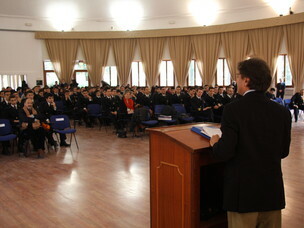 The Venice Port Authority supported the project “We are the human capital” for schools as part of the activities of the 2010 Open Port initiative aimed at tightening the links between the Port and the City, and especially at raising awareness amongst the local community on the port's social and economic importance. 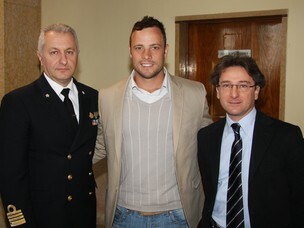 Promoted by the Giovanni Paolo I Foundation, the project organisers invited the South African athlete and Paralympic champion Oscar Pistorius to meet the students attending the last but one year of the Venetian High Schools and promote the project's aim: present the job opportunities available after leaving school. During the debate between the students and the athlete, Franco Sensini, Secretary General of the Port Authority, took the floor to present the job and training opportunities in the Port.